SoftExpert Archive is a powerful file storage software that manages the entire lifecycle of physical content. The solution standardizes archiving procedures, assigning each record to a physical address, converting them into easily searchable content. The solution automates all file storage process, notifying interested parties when files are viewed, copies or borrow requests are made, as well as when a document’s retention date is near. With automated controls of storage and repositories, companies can add value to physical content, increase productivity in the file storage process and ensure integrity, preventing loss of documents. SoftExpert Archive minimizes business risks by complying with international standards and regulations such as ISO 15849, HIPAA, FDA, WFMC, DoD 5015.02-STD, MoReq2, ISO 9000, SOX and others. Easily controls all file storage locations and document repositories. Organizes physical files to strengthen compliance with regulatory and legal standards. Establishes various schedule templates to standardize archiving and final disposal criteria. Accelerates file storage by automatically addressing documents to the right places. Manages borrow requests as well as return deadlines. Controls copying and visualization of documents, with event records. 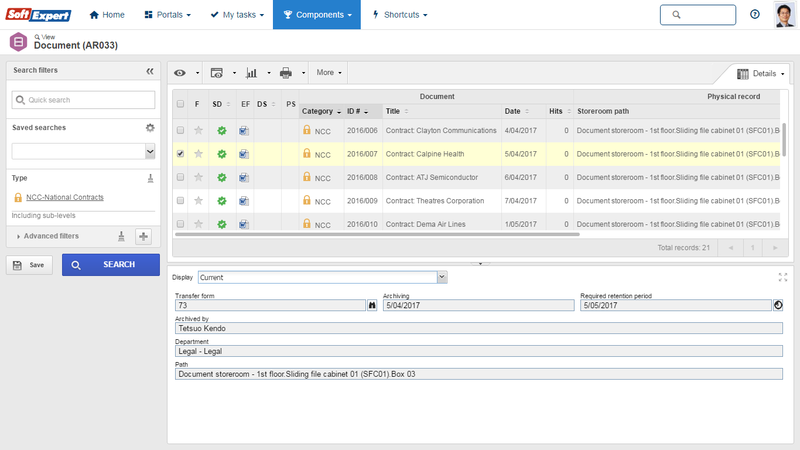 Ensures document's traceability with audit trail features. 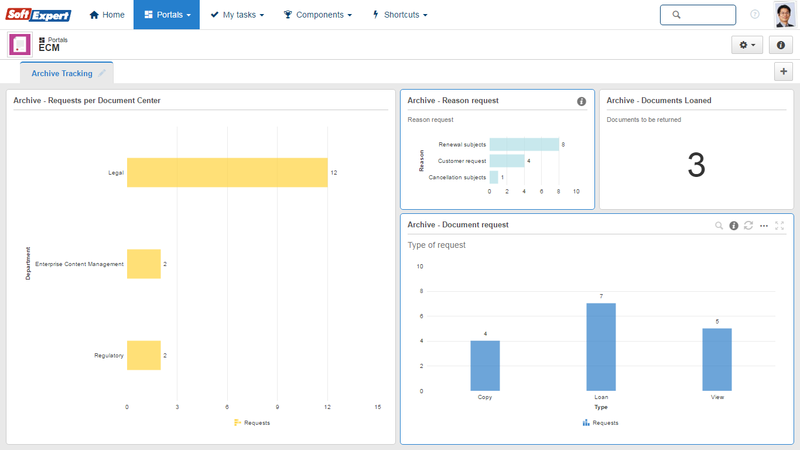 Tracks storage capacity, preventing and reducing archiving incidents. Generates document tags, repositories and storage locations. Allows content to be transferred to external media or file storage companies. 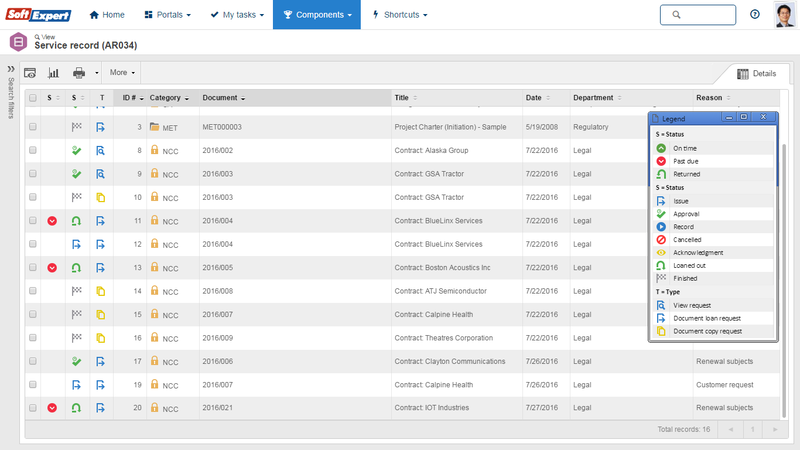 Automatically calculates retention and final disposal deadlines, notifying users, teams and departments by email. 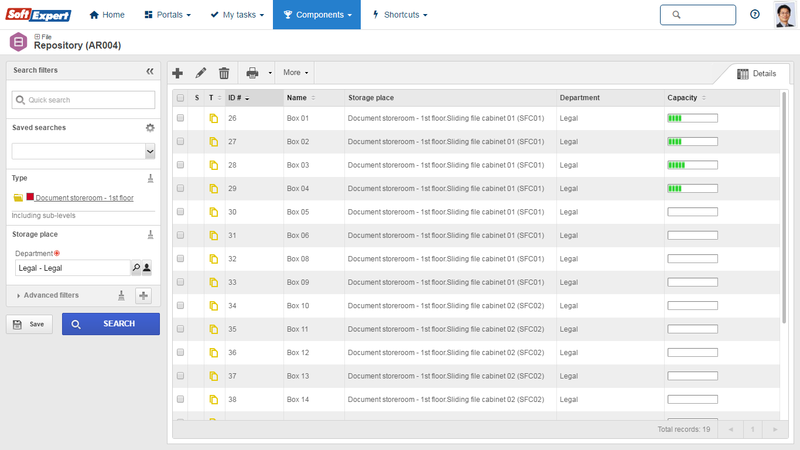 Security controls can be applied by user, team and document category as well as in the file itself. Allows documents to be searched with filters by user, department, metadata and repositories, among others. Provides fast analysis on indexed, archived, transferred and discarded documents, with a variety of graphs and reports. Enterprise data strategy – what do I do with all these data? The concepts and differences between the more used ways to analyze data and apply it for the benefit of business. What is behind this mega buzzword and outlines why it will impact everyone.